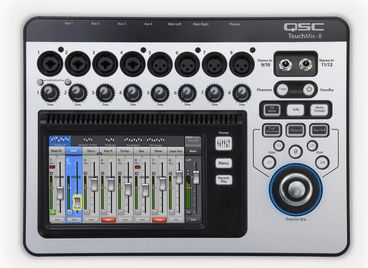 The QSC Touchmix digital mixer is packed with features that you would expect to find in much larger consoles. AV Vegas rents many smaller rental mixers for your event: We really like the QSC Touchmix digital console and highly recommend it to anyone who needs a small but powerful mixer. In the two years that we have rent them, we have had no failures. The Mackie 1202 & 1402 are very handy tools. AV vegas specializes in all types of pro audio sound equipment rentals in Las Vegas and the West.